Is it dry, humid, hot or cold? Selina provides the answer! 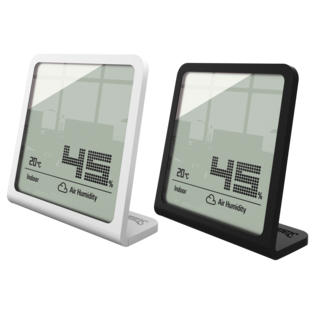 The hygrometer is equipped with stat-of-the-art technology and measures air humidity and temperature precisely. Selina is sleek and elegant and fits harmoniously into any living environment. The slim housing is only .16 inches wide. 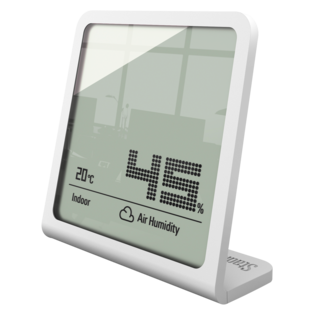 Selina monitors the room climate in style and thus helps you to select the right air humidity product in addition.